In this article we’ll be looking at some of the best green screens that you can use for your YouTube or twitch streaming setup. 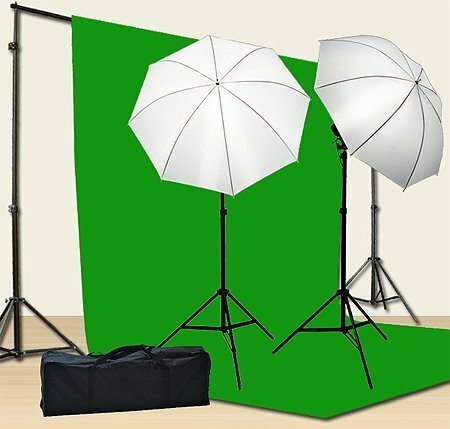 We’ll be focusing on these green screens: Chromakey Green Screen Vs ePhoto ChromaKey Vs Fotodiox 5’x7′ Screen. A brief overview of green screens for those who don’t know, they are literally a green screen that is setup behind you so that it can add your stream to the background behind you instead of your bedroom or whatever items you actually have behind you. This makes it great to help enhance in the immersion of the stream/video & make your setup much higher quality. Here is a list of some of the top ones to use. 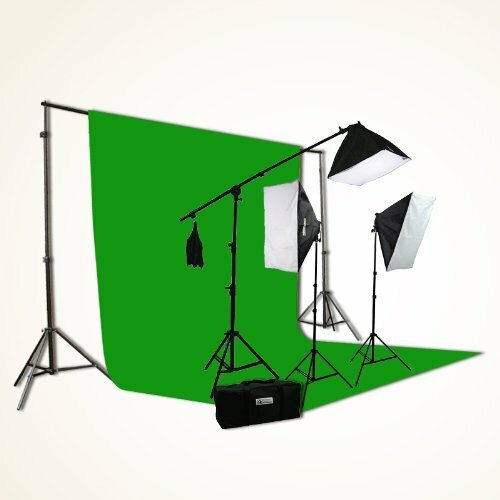 The Chromakey Green Screen Kit comes in as our top pick because you get a full kit setup with everything you should need for your green screen setup without dropping to much money on it. This provides more than enough of a backdrop for the green to go behind you when streaming or recording yourself on YouTube. You also get a great lighting setup which is more important than most people realize when it comes to the overall look to green screens. It does come with a carrying case if this is something you think you may be moving around but for most twitch streamers and YouTube producers it’s usually more of a one-time setup being done but it’s still nice to have. The ePhoto ChromaKey Green Screen Background Kit comes in close behind at our #2 spot. You’ll find it to have a very similar style of setup. One of the main differences between these two is the lighting setup where this kit has a 2 x 16″x24″ soft boxes for 4-socket which is hard to determine whether it’s better or worse than the umbrella type of lighting setup. It really depends on your location of your setup and how it how you want your overall backdrop to look (more lighting, a little darker). There are many variables with it. Overall I feel you get a very similar result but end up spending just a little more for this one compared to the previous. I’ve read others who’ve preferred this one over the previous one, however so it’s really quite a tossup between opinions. Overall you can’t go wrong with either one here. The Fotodiox Green Screen is a lot different than the other two we mentioned and might be a perfect fit if the other two seem to be too much for you. With this kit you get a much more straight-forward simple type of green screen setup. It comes with just the stand and the green screen/blue screen. That means no lighting comes with it, so this will be great for those who feel they already have a well-lit area or if they are wanting to buy the lighting separately. This is also a great option for those who may have a smaller room where they aren’t able or just don’t want to have to put up a giant green screen that covers half of their bedroom/gaming area. You do have the option to buy just the green screen itself without the stand which cuts the price in half almost, however I wouldn’t recommend this unless you have a good alternative on being able to hold the screen up properly. By that I mean I don’t want you to go cutting holes in the green screen and trying to zip tie it up & causing you to have to re-buy another one later down the road. It’s hard to find a green screen available to be bought in stores because this is usually a more niche related item that it usually doesn’t make much sense for stores carry these. This isn’t too much of a bummer these days because of be able to shop online. 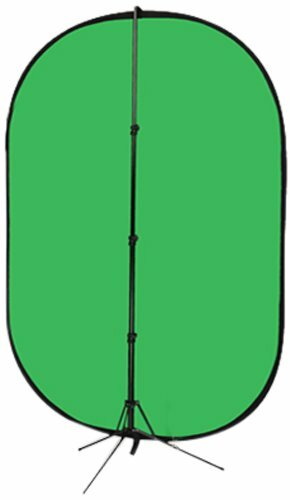 I recommend buying a green screen off of Amazon but there are also a few different online stores that do sell these as well, just do a quick search on the internet to find some. With that being said, I’m all for supporting local stores so if you have a brick & mortar store around you that sells photography or even technology in general then they may have a vendor that sells to them directly that you could be able to grab one from. Anyways I’ll end this article here, best of luck with your stream/videos!